Minutes later, the FAA pulled up to run a spot check on everyone in the area. Grant and Eric were well prepared, having just gone through – and cleared – an FAA spot check weeks earlier. Paperwork in place (certificate of insurance, pilot licenses, aircraft registration, nighttime waiver, operations manual, risk assessment, site survey, and even a backup aircraft in case of malfunction), the FAA inspectors had no concerns and quickly gave our guys the all clear as the inspectors were already familiar with Measure’s professional-grade flight operations. Our mission continued without interruption. I can’t say the same for the other guy. His aircraft was forced to land immediately, his mission halted. He could be facing fines and is in the FAA’s database for violating Part 107 regulations. If he continues to break the rules, his operations could be shut down permanently, along with any contracted work he may have. This experience reiterated the critical significance of proper safety protocol in Small Unmanned Aircraft System (sUAS) operations. A common declination I hear is that anyone can fly a drone. Yes, technically, anyone can fly a drone for recreation. But only trained professionals can run a complex mission safely and effectively, de-risking liability exposure for their customers. Missions and their associated hazards vary greatly depending on the job at hand. For energy and infrastructure flights, we must be aware of everything from weather conditions, airspace restrictions, dangerous wildlife, and other electrical hazards. We also must adhere to any corporate safety compliance procedures that the client has in place for its own crew. For example, with one of our clients, our pilots were required to pass drug testing and site-specific safety training before entering the client's secure facility. For public safety and disaster response, the amount of risk increases immensely. This is why we hire pilots with military backgrounds and experience in both manned and unmanned aircraft operations. Our elite sUAS pilots hold an extreme safety mindset and take drone safety as seriously as any other flight operations. Provide engineers at headquarters to address any aircraft and data issues while on the job. After every flight, the crew briefs the entire team and shares lessons learned. Were there any scares? How did you handle it? What did you do to prevent an incident? Were there any risks that we did not properly prepare for? All these conversations are documented as part of our extensive safety program. And as it turns out, all this preparation and paperwork has resulted in very few incidents. In the last two and a half years, we have flown over 4,200 flights and have a mishap rate of .0011. 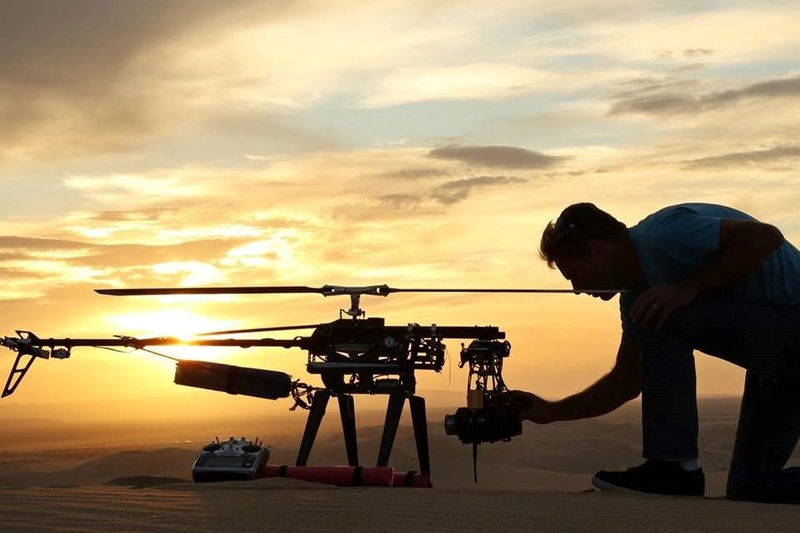 I feel comforable saying that there are very few service providers that have those kind of numbers flying complex inspections and cinematography missions. While each mission is unique in its requirements and risks, one thing never changes: safety and risk-aversion are the chief priorities of each and every mission. Does our culture of safety align with yours? Talk to us about how incorporating drones into your operation can lower safety risks and improve your bottom line.